Steakhouse89 is a upscale dining restaurant. We pride ourselves on being "Backyard Gourmet." Imagine being welcomed into our backyard; smiling faces, cold drinks ready to be hand crafted for your pleasure, a wine list targeted towards those that may or may not know a lot about wine, even a happy hour that's longer than 1 hour, and a Menu geared towards beautiful presentation, quality ingredients, and a passion our chefs want you to enjoy. Steakhouse89 will accommodate your dietary needs and restrictions as requested also. Come experience our wonderful restaurant and we will treat you like you're a guest in our own backyard. We were very impressed with the service and food. Our chateaubriand was cooked to medium rare perfection. Patio seating was spacious and clean. We will be returning for another visit in the future. The food was delicious. We were seated for 10 minutes before greeted/asked for a drink. Outstanding! We were on the road for vacation and went to Open Table looking for something nearby. Place was perfect. Outstanding Service and Outstanding food. Not a "real" steak house a la Scottsdale choices although steak was well prepared. Ambiance is not very high end - more a lipstick update of the old Barking Frog except for the new bar. Would classify this as a middle of the road place and therefore over priced. Everytime we have dinner at Steakhouse 89, the food is fabulous. Best beef in town whether it is the prime rib, tenderloin, or Chateaubriand. Salads and deserts amazing! I didn't feel the price warranted the experience. More steak proportion options would be better. Food was ok.
Great service. Two birthdays celebrated tonite. My husband and I went here for the first time while on vacation as a date night. We were very pleased! The hostess was very welcoming, the live piano music was entertaining, the fireplace was homey, the waiter was very helpful and professional and the food was melt in your mouth amazing. I got the prime rod and Brussels sprouts and my husband got the filet and kennebec potato fries. Everything was served promptly and hot. Will definitely come back! Very beautiful remodeling of this restaurant since I last visited. The service was excellent, thank you Rachel, and both our meals were 5 star delish! Filet Mignon delicious flavor, aged and cooked to perfection. Fish of the day was fresh and delicious with an Asian flair. Creative dessert menu, the Lemon Meringue Cheesecake was high level! The best part of our meal was our server, Connie. She is the one who had us check the meat for doneness. Super rare, which we didn’t order. 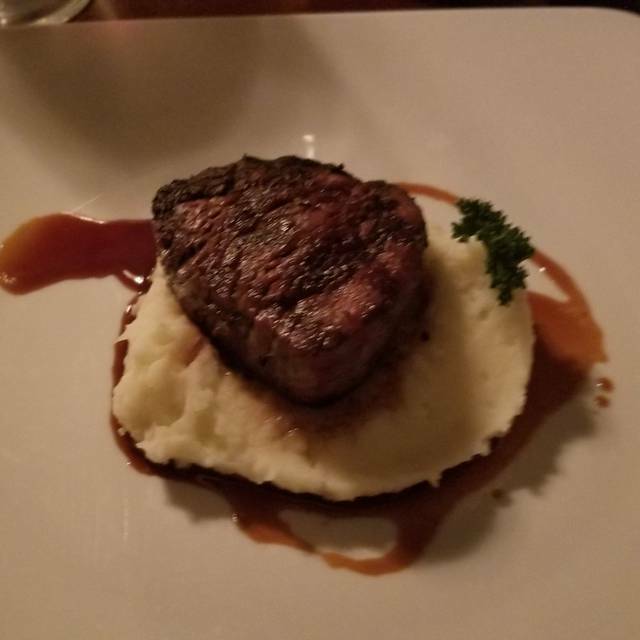 The steak was mediocre for the price. Too many add ons. We understand why it was so empty there. Connie deserves a raise for making the best of a bad event. Brussel sprouts were the best part, but should have been part of meal, not extra $8-9. Will not recommend. Very disappointing, as it was my husband’s birthday and was looking for a great experience. The room with the fire was hot and we did move. Alex was our server and she was hilarious and so great!! 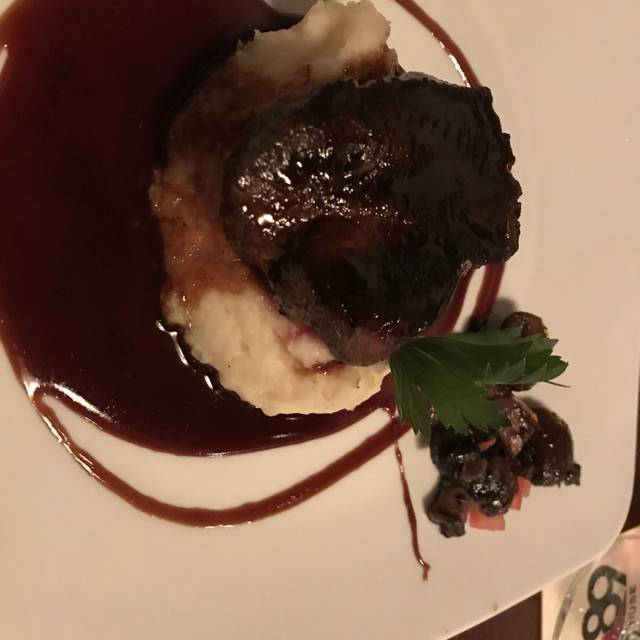 If you're looking for the best steakhouse in the Verde Valley (Sedona), look no further. My wife and I had 8 oz prime rib, petit filet, buttery mashed potatoes, local greens (salad), sauteed spinach, and butter pecan ice cream. Every item was perfectly prepared and deeply flavorful. I've not found a steakhouse in Phoenix/Scottsdale/Glendale that is as good. Ok, there's a down side. This is perhaps the most expensive restaurant in Sedona ($$$$); even so, we'll return every month from here on out! Steaks were good. Appetizer came but plates to share came after we were done. Table maintenace was poor. Not what I expect for prices like these. Would spend my money elsewhere. One of the best steaks I’ve had in a long time. Great atmosphere with live pianist which made our experience even better. We are very happy that we chose to dine at Steakhouse89. The reviews were right on! After a lovely dining experience with excellent food and service, we headed to the bar for a "nightcap". Everyone was so friendly and accommodating! The musician was very good (although a bit loud at times.) We both agreed that our Manhattens were one the the best!! Thank you for a wonderful evening. I don't seek out steakhouses but I was curious to see the changes since I'd eaten there for two previous restaurants. I checked the online menu - it looked promising. I didn't see the Sunday brunch menu online but was very pleased with it. I ordered the tenderloin eggs benedict with asparagus, and a mojito (not too sweet). Both were awesome! I will definitely return on my next vacation there. And recommend it. The food and the atmosphere were great but the service was very slow. Everything was perfect! Most amazing meals we have ever had as well. Huge compliments to chef that creates masterpieces with fillet, brussel sprouts, asparagus... Delectable, healthy, and breathing with flavor. Dubbed my new favorite restaurant. Food and service was excellent. GM or owner checked on several tables around us however never bothered to drop by ours. It was not busy in our section, a little strange. Wow, what a great experience and Steve is a fantastic manager. Great service and food. I wish they gave locals a discount is all I would change. Food and service was excellent. Prices were outrageous. The food was excellent; everything we ordered was perfectly prepared, excellent quality, and well presented. The table service was excellent, but the kitchen was extremely slow - over an hour wait for our entree. The embiance of the room we were in was not very pleasing. The staff went out of their way to create an incredible dining experience for us. Their attention to detail was spot on. From their friendly, attentive wait staff to the artistic presentation of the delicious dishes to the extensive wine list; it the most memorable evening of our trip to Arizona! We only wish we lived closer to enjoy their restaurant more often. Thank you Steakhouse89! We love a good steakhouse but this was not the best. The portions were tiny and overpriced. It felt like they were going for fine dining but fell way short of the mark. Service was slow and not knowledgeable of the menu or wine list. No steak choice for the kids left us choosing a petite filet for our son which was $25. Even Ruth Chris has a steak option. I would say lower the prices and it would be a safe bet for Sedona. There was sure nothing special about the steaks. Being a "steakhouse" implies a level of quality that Steakhouse89 did not deliver. "Grass Fed" is not a formula for success. USDA Prime is. If a great steak is important to you, pick another place. We received great service! The food was wonderful. We will diffently revisit the Steakhouse89 during our next visit to Sedona. Just a great evening, The food & service were outstanding. Would go back in a heartbeat. Visiting from CT and last night in town and Steakhouse 89 was a recommendation from a local. Great atmosphere, excellent service, and very good food - live music was a bonus. Great staff, great food, great experience! Will return! Service was awesome. Food quality lacked 5 star pricing. Would have given it 4 1/2 stars if available (I rarely give a 5). We enjoyed our prime rib, and the sides were sensational (brussels sprouts were probably tied with the best I've ever had, and the rosemary roasted cauliflower was excellent). Had to pay for the rolls (which I rarely experience) but they were worth it. Our server Alexandra was terrific.